Solar Loans: Living Solar is certified with the Colorado Energy Office and Elevations Credit Union, making Colorado Residential Energy Upgrade loans available with excellent interest rates and as little as zero down. Contact us for more information. Same-as-Cash: Purchase your residential solar system and wait for the tax credit and local utility rebate before paying for a portion or all of the system. 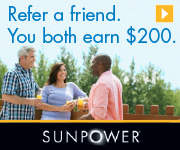 Available exclusively with Living Solar as an authorized SunPower dealer. 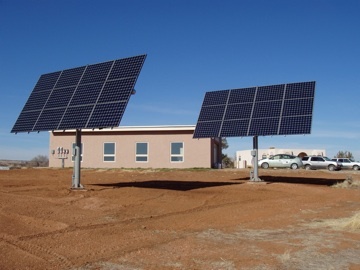 Commercial Leases: Working through SunPower, Living Solar has commercial leases available for qualifying business owners. Leasing is an excellent option for businesses without ability to monetize the federal tax credit or accelerated depreciation incentives. Contact us to learn more! Grants and Loan Guarantees: For 2013 the federal government re-authorized a grant and combined grant/loan guarantee program for businesses in southwest Colorado. Deadlines in the spring of 2013 will apply, so if you are interested contact us immediately to learn if your business might be eligible for this program. The availability and terms of any financing option with Living Solar will vary depending upon the applicant, so contact us today for a free no-obligation assessment. With NABCEP PV Technical Sales certification and decades of experience in finance, Living Solar’s team can work with you to identify the best financial solution so you too can go solar today.